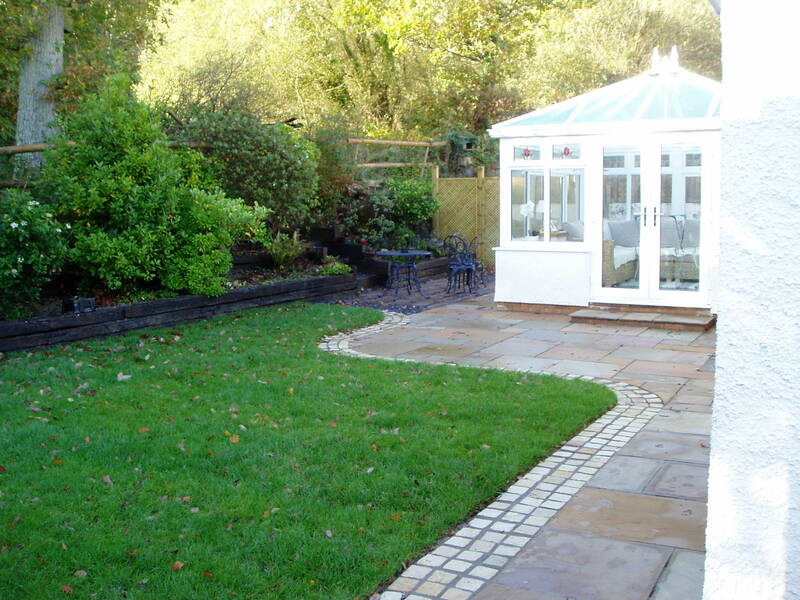 It’s often difficult to visualise a garden for a new-build house or extension. 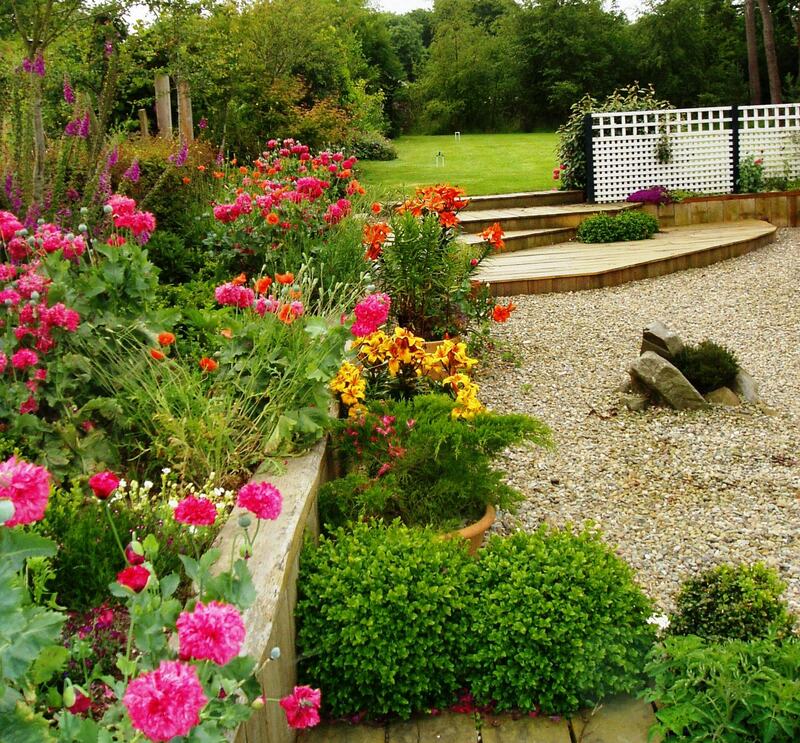 Landworks has transformed many heaps of builders’ rubble into delightful gardens perfect for young children, older couples or busy professionals. 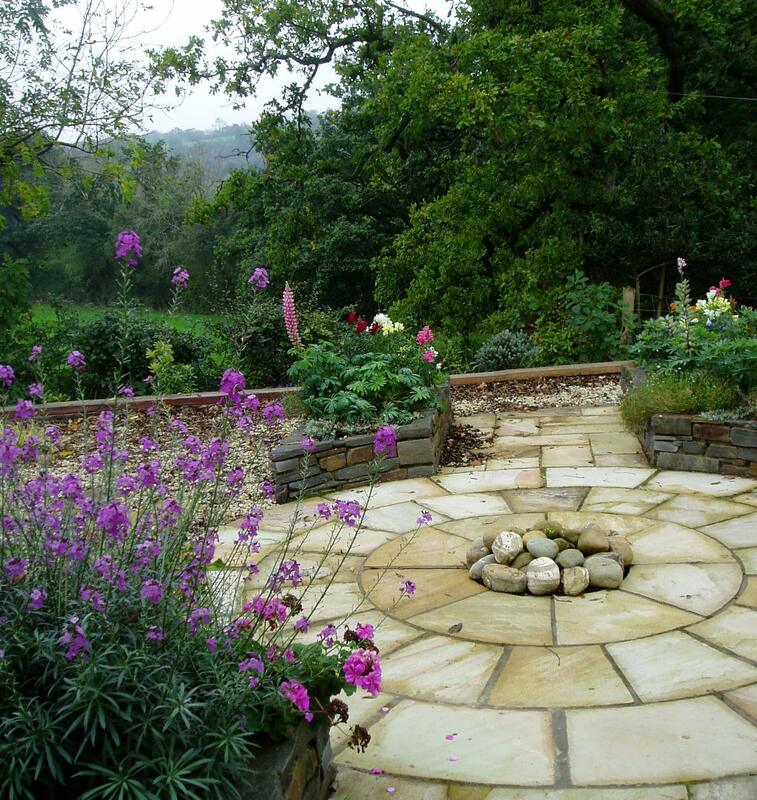 High on the Preseli hills, few plants could survive in this wind-lashed garden. 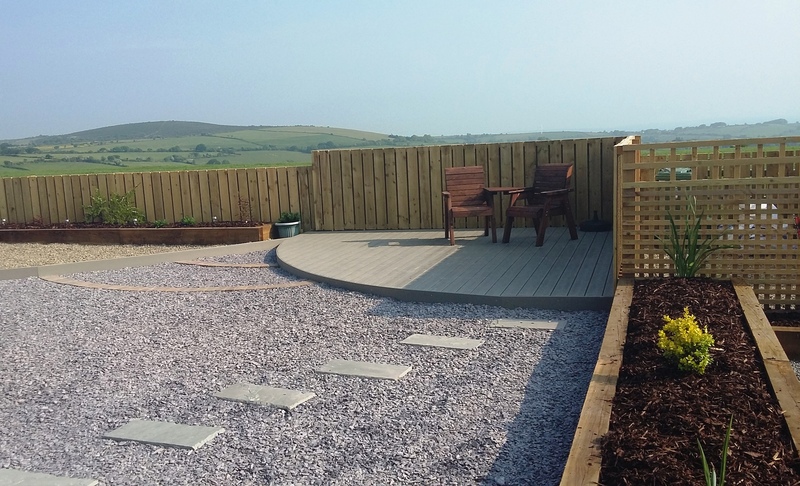 We designed and built sturdy two-layer hit-and-miss fencing to provide shelter for a seating area and raised larch beds for plants, but we designed to preserve the stunning view of the hills. 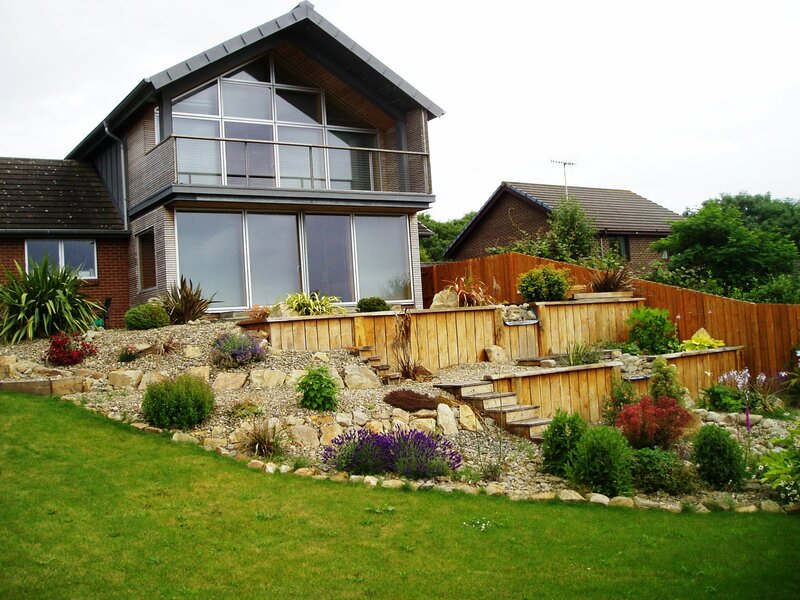 This garden in New Quay was nothing but concrete and gravel until the building of the new conservatory provided the opportunity to completely re-design it as an inviting and intimate green enclosure, perfect for summer evenings. 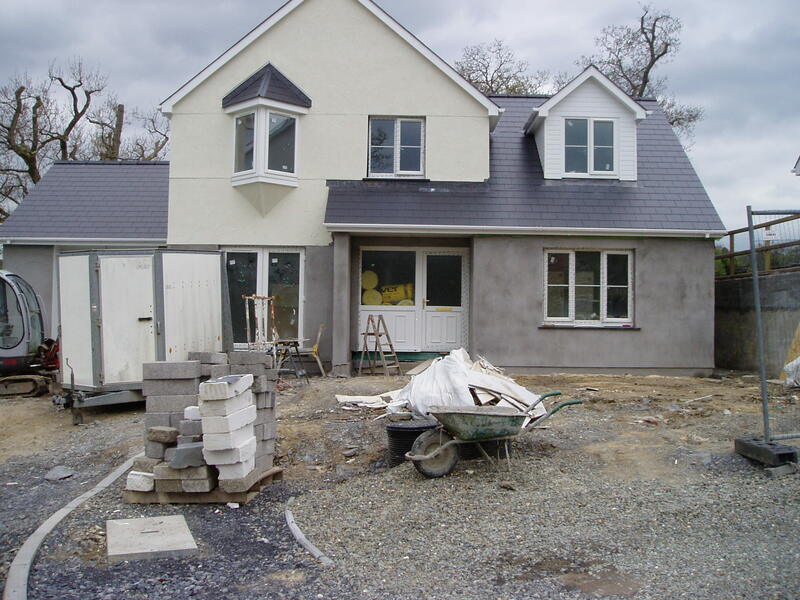 This new-build house in Cenarth had a beautiful view but a ‘garden’ of builders’rubble – click on the link below to see how we transformed it!